Casgliad o ohebiaeth, drafftiau, erthyglau papur newydd, detholiadau o ‘The Builder’ a’r ‘Architects Journal’, deunydd cyhoeddedig arall, llyfrynnau a phamffledi, wedi’u casglu neu eu creu wrth gynhyrchu’r cyhoeddiad Buildings of Wales Glamorgan. Casgliad mawr o negatifau’n ymwneud ag arolygon ffotograffau lliw o henebion cofrestredig ar hyd a lled Cymru. Arolygon ffotograffig yn ymwneud â gwaith ymchwilwyr y Comisiwn, gan gynnwys o fewn cylch gwaith y Prosiect CHERISH. Casgliad Awyrluniau Fertigol yr Arolwg Ordnans: Cyfeirnod O.S. Casgliad printiau mawr yr Arolwg Ordnans: yn cynnwys helaethiadau du a gwyn (tua 20″) wedi’u tynnu o roliau ffilm 9″. Wedi’u ffeilio yn nhrefn yr wyddor yn ôl tref, cymuned neu nodwedd. Awyrluniau arosgo yn ymwneud â gwahanol safleoedd yng Nghymru. Casgliad mawr o ffotograffau digidol o gapeli. Amgueddfa Werin Cymru. 2005. Y Ffrynt Cartref: cofio’r Rhyfel : 1945-2005 = Homefront: remembering the war: 1945-2005. Caerdydd: Amgueddfa Werin Cymru. Baker, Nigel a Hughes, Pat a Morriss, Richard. 2018. The houses of Hereford 1200 – 1700. Oxford: Oxbow Books. Barraclough, K.C. 1989 (adargraffiad) Sheffield steel. Sheffield: Sheffield City Museums. Benjamin, Jonatan. 2001. Submerged prehistory. Oxford: Oxbow Books. Birley, Robin. 2009. Vindolanda: a Roman frontier fort on Hadrian’s wall. Stroud: Amberley. Breeze, David J. 2011. The frontiers of Imperial Rome. Barnsley: Pen & Sword Books Ltd.
Brooks, Richard. 2005. Cassell’s battlefields of Britain and Ireland. London: Weidenfield & Nicolson. Brown, G.I. 1988. The big bang: a history of explosives. Stroud: Alan Sutton. Bucknall, Rixon. 1970. Our railway history. London: Allen and Unwin. Byers, Anthony. 1988. The willing servants: a history of electricity in the home. London: Electricity Council. Chambers, J.D. a Mingay, G.E. 1975. The agricultural revolution, 1750 – 1880. London: B.T. Batsford Ltd.
Christie, Neil a Herold, Hajnalka [golygyddion]. 2016. Fortified settlements in early medieval Europe: defended communities of the 8th-10th centuries. Oxford: Oxbow Books. Cranstone, D. 1997. Derwencote steel furnace: an industrial monument in County Durham. Lancaster: Lancaster University Archaeological Unit. Cunliffe, Barry W. 1998. Fishbourne Roman Palace. Stroud: Tempus. Davies, Max. 1952. How things are made: iron and steel. London: The Educational Supply Association Ltd.
Davison, Brian. 1997. Picturing the past: through the eyes of reconstruction artists. London: English Heritage. Demidowicz, George. 2015. St Michael’s Coventry: the rise and fall of the old cathedral. Coventry: Coventry Cathedral in association with Scala Arts & Heritage Publishers Ltd.
Electrical Development Association. 1956. Electricity on the farm. London: British Electrical Development Association. Ellis, Hamilton. 1976. Pictorial encyclopedia of railways. London: Hamlyn. Estall, R.C. a Buchanan, R.O. 1972. Industrial Activity and Economic Geography: A study of the forces behind the geographical location of productive activity in manufacturing industry. London: Hutchinson & Co.
Falconer, Keith. 1980. Guide to England’s industrial heritage. B.T. London: Batsford Ltd.
Forrest, H.E. 1911. The old houses of Shrewsbury: their history and associations (adargraffiad). Milton Keynes: Bibliolife. Ginn, Victoria. 2014. Exploring prehistoric identity in Europe: our construct or theirs? Oxford: Oxbow Books. Harrington, Peter. 2004. English civil war archaeology. London: Batsford. Hodge, John. 2016. Railways and Industry in the Western Valley: Newport to Aberbeeg. Barnsley: Pen & Sword Books Ltd.
Jamieson, Elaine. 2015. The historic landscape of the Mendip Hills. Swindon: Historic England. Jones, Carleton. 2007. Temples of stone: exploring the megalithic tombs of Ireland. Cork: Collins Press. Keppie, L.J.F. 2012. The antiquarian rediscovery of the Antonine Wall. Edinburgh: Society of Antiquaries of Scotland. Leach, S. a Whitworth, A. 2011. Saving the wall: the conservation of Hadrian’s wall 1746-1987. Stroud: Amberley. Leary, Jim [golygydd]. 2013, Silbury Hill: the largest prehistoric mound in Europe. Swindon: English Heritage. Lloyd-Williams, Richard a Martin Underwood. 1998[?]. The architectural antiquities and village churches of Denbighshire (facsimile). Mold: Denbighshire County Council. Mathias, Hefin. 1996. Wales and Britain in the medieval world c1000 – c1500. London: Hodder & Stoughton. Momber, G. [et al.].2011. Mesolithic occupation at Bouldnor Cliff and the submerged prehistoric landscapes of the Solent. York: Council for British Archaeology. Morgan, Rosslyn. 2015. Caersalem newydd: Heb ei anghofio/not forgotten. Cymmer: Hunan-gyhoeddedig. Morgan,Victoria [et al]. 2003. A Welsh countryside revisited a new social study of Llanfihangel yng Ngwynfa. Welshpool & Llanfihangel yng Ngwynfa: The Powysland Club; Llanfihangel Social History Group. Museum of Welsh Life. 2005. Y Ffrynt Cartref: cofio’r Rhyfel : 1945-2005 = Homefront: remembering the war: 1945-2005. Caerdydd: Amgueddfa Werin Cymru. Nabarro, Gerald, Syr. 1971. Severn valley steam. London: Routledge & Kegan Paul. Norris, John. 2004. Welsh castles at war. Stroud: Tempus Publishing. O’Brien, Charles. 2017. Houses: an architectural guide. London: Yale University Press (Pevsner). Parsons, David. 2013. The Anglo-Saxon church of All Saints, Brixworth, Northamptonshire: survey, excavation and analysis, 1972-2010. Oxford: Oxbow Books. Pearce, Adrian [Editor]. 1995. Mining in Shropshire. Shrewsbury: Shropshire Books. Pierce, D. [et al]. 2018. Who’s who of Welsh international rugby players. Bath: Charlcombe Books. Pollard, Tony ac Oliver, Neil. 2002. Two men in a trench: battlefield archaeology – the key to unlocking the past. London: Michael Joseph. Pollard, Tony ac Oliver, Neil. 2003. Two men in a trench: uncovering the secrets of British battlefields. London: Michael Joseph. Porter, Stephen. 1994. Destruction in the English civil War. Stroud: Alan Sutton. Rippon, Stephen. 2012. Making sense of an historic landscape. Oxford: Oxford University Press. Russell Miles. 2010. UnRoman Britain: exposing the great myth of Britannia. Stroud: History Press. Smyth, Jessica. 2014. Settlement in the Irish Neolithic: new discoveries at the edge of Europe. Oxford: Oxbow Books. Trinder, Barrie. 1991. The Darbys of Coalbrookdale. Chichester: Phillimore & Co. Ltd. in association with Ironbridge Gorge Museum Trust. Watts,Martin. 2013. Prehistoric, Romano-British and Medieval occupation in the Frome Valley, Gloucestershire. Cirencester: Cotswold Archaeology. Welfare, Adam. 2011. Great crowns of stone: the recumbent stone circles of Scotland. Edinburgh: Royal Commission on the Ancient and Historical Monuments of Scotland. Westcott, G.F. 1958. The British Railway Locomotive 1803 – 1853. London: H.M.S.O. White, Roger & Hodder, Mike [golygyddion]. 2018. Clash of cultures? the Romano-British period in the West Midlands. Oxford: Oxbow Books. Wildig, J. ac ADAS. 2001. Mynydd y Ffynnon: Ffynhonnell gweledigaeth newydd ar gyfer ucheldir Cymru / the source of a new vision for the Welsh uplands: Adroddiad terfynol / Final report? : ADAS. Williams, Mike. 2013. Textile mills of South West England. Swindon: English Heritage. Wood, Peter A. 1976. Industrial Britain: The West Midlands, with contributions on the Potteries coal and power by A. Moyes. Newton Abbot: David and Charles. Yorke, F.R.S. 1948. The modern house in England. London: The Architectural Press. [?]. 1966. Die Parzellierung Deutchlands, gwahanlith o Bauwelt Cyfrol 57, tt. 21 – 32. Berlin: Bauverlag BV. Aalen, F.H. 1970. The house types of Gola Island, Co.Donegal, gwahanlith o Folk Life Cyfrol 8, tt. 1 – 15. Cardiff: Society for Folk Life Studies. Andrews, Francis B. 1925. The medieval builder and his methods, gwahanlith o Transactions of the Birmingham Archaeological Society Cyfrol 48, tt. 1 – 99. Birmingham: Birmingham Archaeological Society. Baumgarten, Karl. 1983. Das englische und das deutsche Hallenhaus, gwahanlith o Ethnologia Europaea Cyfrol XIII, 2, tt.189 – 202. Göttingen: Ethnologia Europaea. Blaylock, S.R. 1990. Exeter Guildhall, gwahanlith o Proceedings of the Devon Archaeological Society Rhif 48, tt.123 – 178. Exeter: Devon Archaeological Society. Brown, S.W. 1988. Excavations and building recording at Buckfast Abbey, Devon, gwahanlith o Proceedings of the Devon Archaeological Society Rhif 46, tt. 13 – 89. Exeter: Devon Archaeological Society. Brown, Stewart a Laithwaite, Michael. 1993. Northwood Farm, Christow: an abandoned farm on the eastern fringe of Dartmoor, gwahanlith o Proceedings of Devon Archaeological Society Rhif 51, tt. 161 – 184. Exeter: Devon Archaeological Society. Charles, F.W.B. 1974. The timber-framed buildings of Coventry: 169 Spon Street, gwahanlith o Transactions of the Birmingham and Warwickshire Archaeological Society Cyfrol 86, tt. 113 – 131. Oxford. Birmingham and Warwickshire Archaeological Society. Charles, F.W.B. 1978-79. Timber-framed houses in Spon Street, Coventry, gwahanlith o Transactions of the Birmingham and Warwickshire Archaeological Society Cyfrol 89, tt. 92 – 122. Birmingham: Birmingham and Warwickshire Archaeological Society. Charles, F.W.B. 1982. The construction of buildings with irregularly-spaced posts. Pennod o’r llyfr Structural Reconstruction. Approaches to the interpretation of the excavated remains of buildings, golygwyd gan P.J.Drury, tt. 101 – 112. Oxford: BAR British Series. Chatwin, Philip B. a Harcourt, Edgar G. 1946. The Bishop Vesey houses and other old buildings in Sutton Coldfield, gwahanlith o Transactions of the Birmingham Archaeological Society Cyfrol LXIV, tt. 1 – 19. Oxford. Birmingham Archaeological Society. Cherry, Bridget. 1988. The Devon country house in the late seventeenth and early eighteenth centuries, gwahanlith o Proceedings of the Devon Archaeological Society Rhif 46, tt. 91 – 135. Exeter: Devon Archaeological Society. Child, P. a Laithwaite, M. 1975. Little Rull: a late medieval farmhouse near Cullompton, gwahanlith o Proceedings of the Devon Archaeological Society Rhif 33, tt. 303 – 310. Exeter: Devon Archaeological Society. Colman, Sylvia a West, Stanley E. 1975. Edgar’s Farm, Stowmarket: a reappraisal, gwahanlith o East Anglian Archaeology Report Rhif 1, tt. 39 – 45. Ipswich: Suffolk County Planning Department. Crook, John. 1982. The Pilgrim’s Hall, Winchester, gwahanlith o Proceedings of the Hampshire Field Club and Archaeological Society Cyfrol 38, tt. 85 – 101. Winchester: Hampshire Field Club and Archaeological Society. Cross, Ralph C. 1959. Grain drying kilns, gwahanlith o Archaeology Group Bulletin Cyfrol 4, Rhif 9, tt. 43 – 47. Bradford: City of Bradford Libraries, Art Galleries and Museums Committee. Cudworth, C.L. 1937. Dutch influence in East Anglian architecture, gwahanlith o Proceedings of the Cambridge Antiquarian Society Cyfrol XXXVII, tt. 24 – 42. Cambridge: Cambridge Antiquarian Society. Daniels, R. 1988. Excavated rural medieval buildings of the Tees lowlands, gwahanlith o Durham Archaeological Journal Cyfrol 4, tt. 37 – 44. Durham: Architectural and Archaeological Society of Durham and Northumberland. De Maestri, Sara, a Moreno, Diego. 1980. Contributo alla storia della costruzione a secco nella Liguria rurale, gwahanlith o Archeologia Medievale; cultura materiale insediamenti territorio, Cyfrol VII, tt. 319 – 341. Florence: All’Insegna del Giglio. Dowrick, David J. 1973. 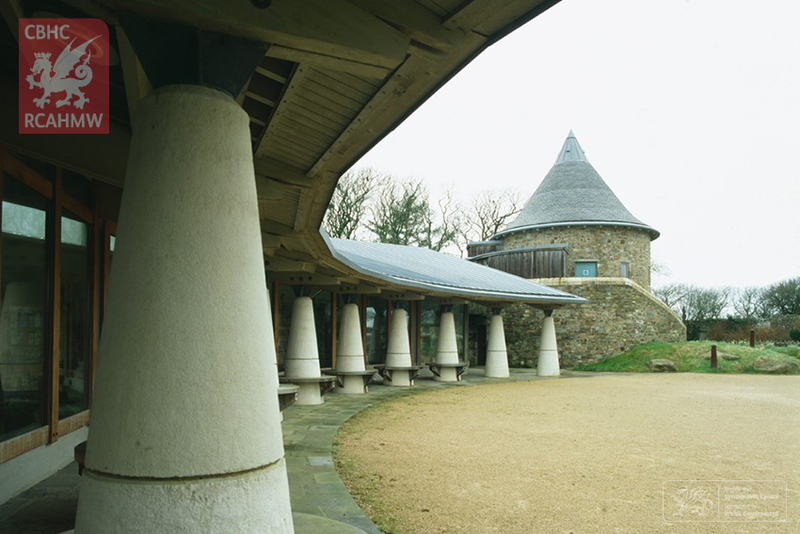 The structural conservation of ancient buildings, gwahanlith o British Association for the Advancement of Science. Darlith, tt. 1 – 3. London: British Association for the Advancement of Science. Dunbar, J.G. 1965. Auchindrain: a mid-Argyll township, gwahanlith o Folk Life Cyfrol 3 Rhif 1, tt. 61 – 67. Cardiff: Society for Folk Life Studies. Erskine, Mrs. A.M. a Portman, D. 1960. The history of an Exeter tenement (229 High Street), gwahanlith o Transactions of the Devonshire Association for the Advancement of Science, Literature and Art Cyfrol XCII, tt. 142 – 157. Torquay: Devonshire Association for the Advancement of Science, Literature and Art. Essex County Council Historic Buildings and Design Section. 1996. Historic buildings notes and surveys, gwahanlith o Essex Archaeology and History Cyfrol 27, tt. 277 – 288. Colchester: Essex Archaeological Society. Fletcher, J.M. 1961. Harwell vicarage, gwahanlith o Berkshire Archaeological Journal Cyfrol 59, tt. 38 – 42. Reading: Berkshire Archaeological Society. Fletcher, John M. 1965-66. Three medieval farmhouses in Harwell, gwahanlith o Berkshire Archaeological Journal Cyfrol 62, tt. 45 – 69. Reading: Berkshire Archaeological Society. Gailey, Alan. 1976. Some developments and adaptations of traditional house types, chapter from book, Folk and Farm: essays in honour of A.T. Lucas, golygwyd gan Caoimhín Ó Danachair, tt. 54 – 71. Dublin: Royal Society of Antiquaries of Ireland. Gailey, Alan. 1977. Vernacular dwellings of Clogher diocese, South Ulster, gwahanlith o Clogher Record Cyfrol IX, Rhif 2, tt. 187 – 231. Monaghan: Clogher Diocesan Historical Society. Guibal, F., Jones, M.C.E., Meirion-Jones, G.I. a Pilcher, J.R. 1987. Dendrochronologie de trois manoirs des Côtes-Du-Nord, gwahanlith o Les Dossiers du Ce.R.A.A. Cyfrol 15, tt. 63 – 70. Hansford Worth, R. 1944. The Dartmoor house, gwahanlith o Annual Reports and Transactions of the Plymouth Institution and Devon and Cornwall Natural History Society Cyfrol XVIII, tt. 34 – 47. [Plymouth? ]: Devon and Cornwall Natural History Society. Hinz, Hermann. 1987. Slawische burgwallinsel im Persanzig-See zum problem der sogenannten pfahlbauten aus den grabungen von F.W.Kasiski, gwahanlith o Baltische Studien NF Band 73, tt. 7 – 17. Germany: Pommersche Geschichte und Altertumskunde. Hodgkinson, H.R. a Chatwin, Philip B. 1943-44. An ancient barn at Chaddesley Corbett, Worcestershire, gwahanlith o Transactions of the Birmingham Archaeological Society Cyfrol LXV, tt. 105 – 109. Oxford: Birmingham Archaeological Society. Hulland, C. 1980. Devonshire farmhouses Part V: some medieval houses in North and Mid Devon, gwahanlith o Transactions of the Devonshire Association for the Advancement of Science, Literature and Art Cyfrol 112, tt. 127 – 170. Exeter: Devonshire Association for the Advancement of Science, Literature and Art. Hutton, Kenneth. 1976. The distribution of wheelhouses in the British Isles, gwahanlith o The Agricultural History Review Cyfrol 24, Rhan 1, tt. 30 – 35. Oxford: British Agricultural Society. lland, Charles. 1984. Devonshire farmhouses Part VI: more medieval houses in North and Mid Devon, gwahanlith o Transactions of the Association for the Advancement of Science, Literature and Art Cyfrol 116, tt. 29 – 61. Exeter: Devonshire Association for the Advancement of Science, Literature and Art. Janse, H. a Devliegher, L. 1962. Middeleeuwse bekappingen in het vroegere graafschap Vlaanderen, gwahanlith o Bulletin de la Commission Royale des Monuments Cyfrol 13, tt. 301 – 378. Brussels: Commission Royale des Monuments. Janse. H. 1989. Houten kappen in Nederland, 1000-1940. Pennod o’r llyfr Bouwtechniek in Nederland 2, tt. 389 – 391. Delft: Rijksdienst voor de Monumentenzorg. Jansen, Virginia. 2008. Trading places: counting houses and the Hanseatic “steelyard” in King’s Lynn. Pennod o’r llyfr King’s Lynn and the Fens. Medieval art, architecture and archaeology, golygwyd gan John McNeill, tt. 66 – 81. Leeds: British Archaeological Association. Jones, S.R. a Smith, J.T. 1958. Manor farm, Wasperton: an early fourteenth century timber-framed house, gwahanlith o Transactions of the Birmingham Archaeological Society Cyfrol 76, tt. 19 – 28. Oxford: Birmingham Archaeological Society. Laithwaite, Michael. 1971. Middle Moor, Sowton: a re-assessment, gwahanlith o Transactions of the Devonshire Association for the Advancement of Science, Literature and Art, tt. 77 – 83. [Devon? ]: Devonshire Association for the Advancement of Science, Literature and Art. Laithwaite, Michael. 1971. Two medieval houses in Ashburton, gwahanlith o Proceedings of the Devon Archaeological Society Rhif 29, tt. 181 – 194. Exeter: Devon Archaeological Society. Laithwaite, Michael, Blaylock, S.R. a Westcott, K.A. 1989. The Bishop’s palace at Bishopsteignton, gwahanlith o Proceedings of the Devon Archaeological Society Rhif 47, tt. 53 – 69. Exeter: Devon Archaeological Society. Lucas, A.T. 1967. Some traditional Irish methods of cloth finishing, gwahanlith o British Association for the Advancement of Science. Anerchiad y Llywydd, tt. 1 – 9. London: British Association for the Advancement of Science. Mason, R.T. 1957. Small ancient buildings, gwahanlith o Journal of the Association of Rural District Surveyors Rhif 29, tt. 11 – 15. Miller, D.B. 1977. An abandoned crofting community in Latheron, gwahanlith o Caithness Field Club Bulletin Cyfrol 2, Rhif 1, tt. 20 – 27. Thurso: Caithness Field Club. Parkin, John. 1981. A unique aisled cottage at Petham. Pennod o’r llyfr Collectanea Historica: Essays in memory of Stuart Rigold, golygwyd gan Alec Detsicas, tt. 225 -230. Maidstone Kent Archaeological Society. Pattison, Paul. 1992. Oldstone: a mansion and its gardens in South Devon: a survey by the Royal Commission on the Historical Monuments of England, gwahanlith o Proceedings of Devon Archaeological Society Rhif 50, tt. 125 – 136. Exeter: Devon Archaeological Society. Phillips, W.S. 1965. Brook House Farm, Chigwell, a 17th century Essex farmhouse, gwahanlith o Transactions of the Essex Archaeological Society Cyfrol 1, Rhan 4, trydedd gyfres, tt. 221 – 238. Ipswich: Essex Archaeological Society. Powell, F.C. 1990. The garden walls of Gonville Hall, gwahanlith o The Caian. Annual record of Gonville and Caius College, tt. 74 – 79. Cambridge: Gonville and Caius College. Roberts, D.L. 1973. Recording vernacular building in a wide field, gwahanlith o Bulletin of Local History – East Midland Region Cyfrol VIII, tt. 19 – 47. Nottingham: Department of Adult Education, Nottingham University. Roberts, Martin, Laxton, Robert, Howard, Robert a Litton, Clifford. 1999. The buildings of the religious estates in medieval Durham. A tree-ring dating project, an gwahanlith o Durham Archaeological Journal Cyfrol 14 – 15, tt. 141 – 160. Durham: Architectural and Archaeological Society of Durham and Northumberland. Smith, J.T. a Yates, E.M. 1968. On the dating of English houses from external evidence, gwahanlith o Field Studies Cyfrol 2, Rhif 5, tt. 537 – 577. Shrewsbury: Field Studies Council. Smith, Terence Paul. 1972. A Demolished timber-framed building at Luton, gwahanlith o Bedfordshire Archaeological Journal Cyfrol 7, tt. 73 – 77. Bedford: Bedfordshire Archaeological Council. Spokes, P.S. a Jope, E.M. 1959. The “Priory”, Marcham, Berkshire, gwahanlith o Berkshire Archaeological Journal Cyfrol LVII, tt. 1 – 12. Reading: Berkshire Archaeological Society. Spokes, P.S. 1960. Some notes on the domestic architecture of Abingdon, Berkshire, gwahanlith o Berkshire Archaeological Journal Cyfrol 58, tt. 1 – 19. Reading: Berkshire Archaeological Society. Steer, Francis W. 1958. The Vicars’ Hall, Chichester and its undercroft, The Chichester Papers Rhif 12, tt. 1 – 7. Chichester: Chichester City Council. Steer, Francis W. 1961. A selection of Chichester doorways, The Chichester Papers Rhif 18, tt. 1 – 10. Chichester: Chichester City Council. Stell, Geoffrey. 1972. Two cruck-framed buildings in Dumfriesshire, gwahanlith o Transactions of the Dumfriesshire and Galloway Natural History and Antiquarian Society Cyfrol XLIX, tt. 39 – 48. Dumfries: Dumfriesshire and Galloway Natural History and Antiquarian Society. Stell, Geoffrey. 1982. Castles and towers in south-western Scotland, some recent surveys, gwahanlith o Transactions of the Dumfriesshire and Galloway Natural History and Antiquarian Society Cyfrol LVII, tt. 65 – 77. Dumfries: Dumfriesshire and Galloway Natural History and Antiquarian Society. Walton, James. 1959. Rajput folk-building in Malwa, Central India, gwahanlith o Ethnos Cyfrol 24, n3-4, tt. 109 – 120. Stockholm: The Ethnographical Museum of Sweden. Watkin, Brenda. 1994. The buildings of Littley Park, gwahanlith o Essex Archaeology and History Cyfrol 25, tt. 125 – 133. Colchester: Essex Archaeological Society. Watkin, Elphin. 1993. The spire of All Saints’ church, Maldon, gwahanlith o Essex Archaeology and History Cyfrol 24, tt. 136 – 149. Colchester: Essex Archaeological Society. Westcott, K.A. 1992. 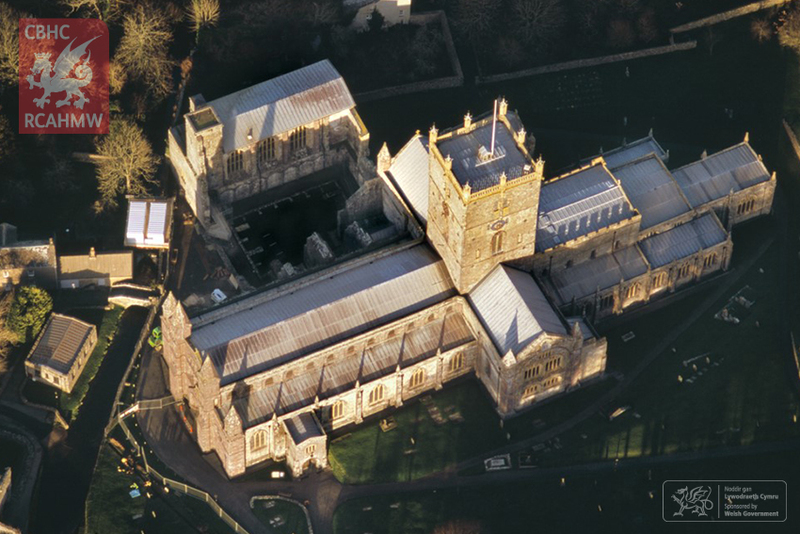 The spire and roofs of Hatherleigh church: investigations following the storm damage of 1990, gwahanlith o Proceedings of the Devon Archaeological Society Rhif 50, tt. 61 – 89. Exeter: Devon Archaeological Society. Wiliam, Eurwyn. 1973. Farm buildings in the Vale of Clwyd, gwahanlith o Folk Life Cyfrol 11, tt. 34 – 59. Cardiff: Society for Folk Life Studies. Williams, E.H.D. 1974. Poltimore farmhouse, Farway, gwahanlith o Transactions of the Devonshire Association for the Advancement of Science, Literature and Art Cyfrol 106, tt. 215 – 229. [Devon?] Devonshire Association for the Advancement of Science, Literature and Art. Winder, Thomas. 1896. 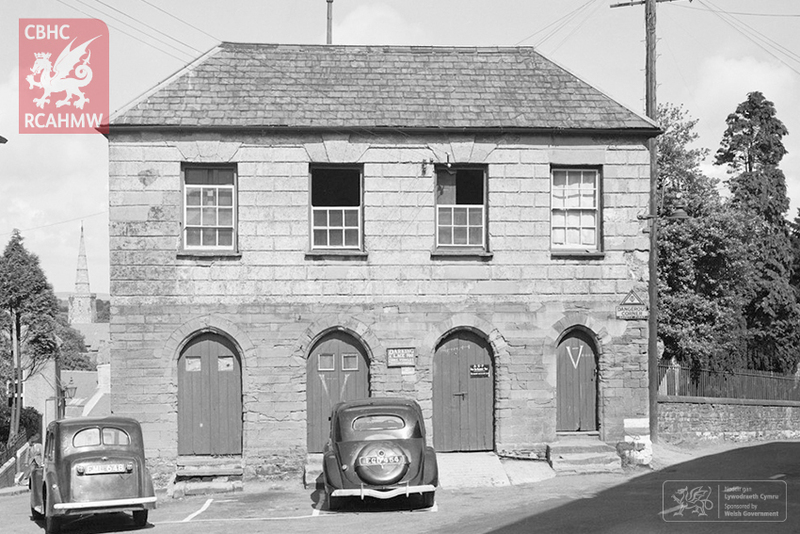 Half-timber buildings in Hallamshire, gwahanlith o The Builders’ Journal. An Architectural Review, tt. 24 – 26, 40 – 42. London. Antiquity Cyfrol 92 (Rhif 364, Awst 2018). Archaeologia Cambrensis Cyfrol 167 (2018). Capel Newsletter Cyfrol 73 (Hydref 2018). Chapels Society Journal (All chapels great and small) Cyfrol 3 (2018). Current Archaeology Cyfrol 343 (Hydref, 2018). Gower Society Newsletter Hydref (2018). Maplines Cyfrol 033 (Rhan 2, Haf, 2018). Railway and Canal Historical Society Bulletin Rhif 475 (Medi, 2018). Society for the Protection of Ancient Buildings Magazine Hydref (2018). S.O.S. News from the Friends of the Newport Ship Cyfrol 26 (Medi, 2018). Talyllyn News Rhif 259 (Medi, 2018). Vernacular Building, Scottish Vernacular Buildings Working Group, Cyfrol 41 (2018). Victorian Society News, Medi (2018). Welsh History Review Cyfrol 29 (Mehefin, 2018). Welsh Mills Society Newsletter Cyfrol 133 (Hydref, 2018). Yorkshire Buildings: The journal of the Yorkshire Vernacular Buildings Study Group Cyfrol 45 (2017). Architectural Journal News, 12 Medi 2018 – Mae’r Victorian Society yn enwi Gwaith Dur John Summers, Shotton (Gradd II, 1907, NPRN 300212) yn un o’r 10 adeilad sydd yn y cyflwr adfeiliedig gwaethaf. Current Archaeology Cyfrol 343 (Hydref, 2018) t.9 A oedd y bobl a gladdwyd yng Nghôr y Cewri yn dod o Gymru?, t.12 Cerrig glas Côr y Cewri a dyblygu ymchwil, tt.54-57, mae ‘Hot off the Press: How this summer’s heatwave revealed a host of historic sites’ yn amlinellu’r llu o ddarganfyddiadau newydd a wnaed ar draws y DU. Victorian Society News, Medi 2018 – Derbyniodd Dr Mark Baker y wobr ‘Points of Light’ gan y Prif Weinidog i gydnabod y gwaith y mae ef wedi’i wneud i helpu i ddiogelu Castell Gwrych ger Abergele, gan ysgogi newidiadau cadarnhaol yn y gymuned ac ysbrydoli pobl eraill.